The other day, I had lunch with Joe, a friend of mine, somebody I had hired as a recent Penn grad at Burson-Marsteller many years ago. We’ve stayed in touch over the years but while I soldiered on in my PR career he abandoned his and decamped to business school and his MBA. After graduation, he tried his hand at a couple of things before going to work for a guy named Judah Klausner. Never heard of Judah? You’re forgiven. But I assure you that you’ve seen the products of his wildly inventive brain. Judah studied music at New York University, graduating in 1973. A few years later, he was knocking about, doing not too much, when he ended up visiting a college friend at his house. There was a calculator on the coffee table. 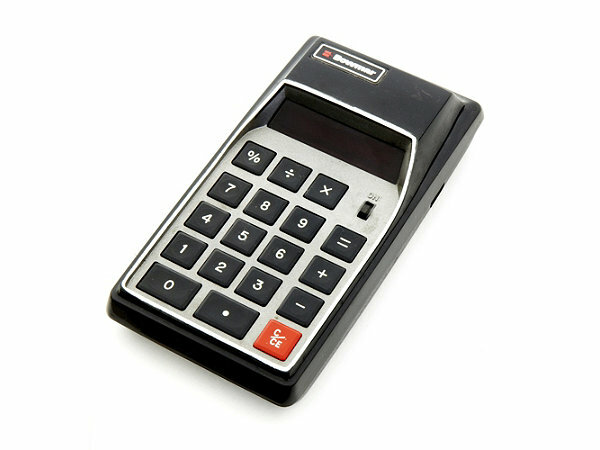 In those days, pocket calculators had not yet achieved ubiquity, and few of them could do more than basic arithmetic functions. That might have been the end of the story. Had he found work in music as a career, who knows where Judah might be today? But for weeks after his visit, Judah remained intrigued. Why, he wondered, couldn’t such a device store lots of letters, as well as numbers, like names and addresses? But eventually, a large Japanese company licensed the patent and by the early eighties, more than a dozen companies had introduced their own versions of what we now refer to as the Personal Digital Assistant (or PDA). And Judah and his buddy got a buck for every single one that was manufactured for many years, right up to the Blackberry. I recalled this story at lunch with Joe because not long ago, I got a new Android phone from Verizon, and one of its features is called Visual Voicemail. It’s an app that lets you see the voicemails awaiting your attention and listen to them in any order without having to dial into your carrier’s voicemail system – very convenient. And very reminiscent of a meeting I had more than a decade ago – with Judah Klausner. Joe had brought Judah to meet me to see if some professional PR support would be useful to him in some looming litigation. I was excited to meet Judah because, inspired by his story, I had a few (I thought) brilliant ideas for inventions. I asked if I could run my ideas by him – by then, he had a nearly encyclopedic knowledge of patents, his and others — and not only did he agree, he said he would give me 25% of the royalties if one of my ideas panned out. Eureka! Judah: “Already been done.” And it was! It was in my next car. Deflated, I realized that by the time most people think up a good idea, it’s already in production in a factory somewhere in China. Turning to the matter at hand, Judah explained that some cellular companies were planning to introduce a service using a technology for which he already held the patent, and the companies would not return his calls. I could not help Judah that day, because my agency represented one of the companies that would ultimately be a defendant. Still, it was great to meet a legend. Years passed. Lunching with Joe the other day, I asked if Judah had finally prevailed in his litigation. With a little smile, my friend said, “Yup. Big time.” And, though he’s long moved on, Joe still owns a little percentage of Judah’s company. Annual income covers private school tuition for his two kids! Because Judah won the lawsuit and – you guessed it — his patent for Visual Voicemail led to a very popular Android app. I use it every day, and I think of Judah every time. These days, everybody answers Judah’s calls, and I would so very much like to know what’s in his mind right now…and find a way to invest in it!